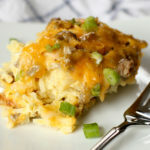 Okay, so I have to admit that after making this crockpot breakfast casserole recipe, I thought I was soooo smart. 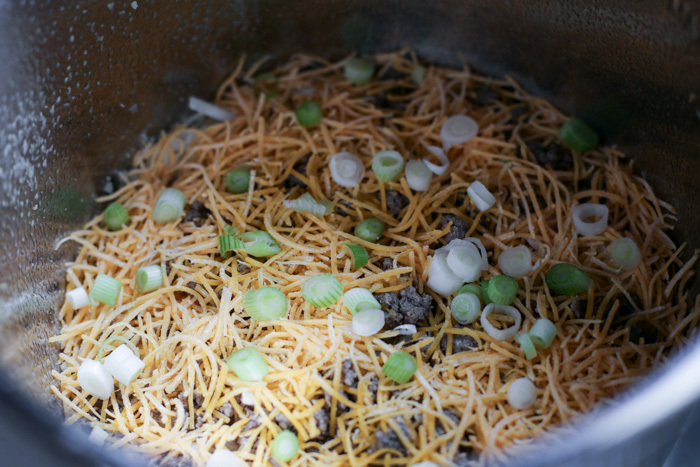 Everything I had read about breakfast casseroles in the crockpot mentioned cooking them overnight. And while this sounds like a great idea, I personally do not like waking up at 3am to smell the bacon. It makes me hungry and I can’t go back to sleep. Anyone else? So instead, I decided to make this breakfast casserole recipe during the day. It was the whole “breakfast for dinner” thing on steroids. But what I didn’t think about was how much we would have left over. Making a casserole is great when you have company, but my husband and I barely made a dent in this for dinner. That’s where I got smart. As I stared into my crockpot and wondered what I was going to do with all these leftovers, it suddenly dawned on me. Why not make your freezer cooking breakfast burritos with it. Ding. Ding. Ding! 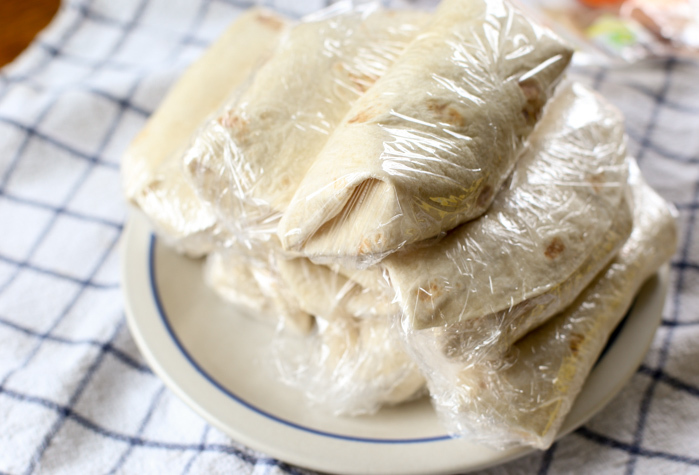 I grabbed some tortillas, some plastic wrap and made 12 burritos from the leftovers! So smart, right? Ha! Sometimes I surprise myself. 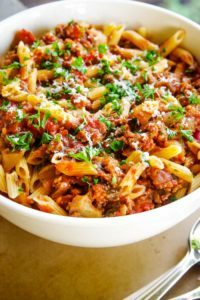 I have to say that I will make this again if only to fill my freezer. 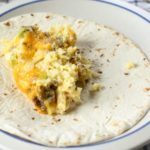 My husband loves breakfast burritos and this is by far the easiest way to make them – AND we get dinner out of it, too. I love it when my worlds collide like that. 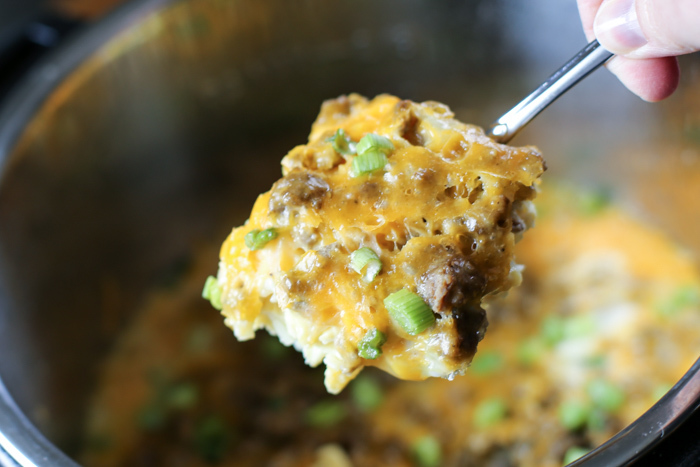 To make this crockpot breakfast casserole recipe you will need. Cook your sausage until thoroughly cooked. 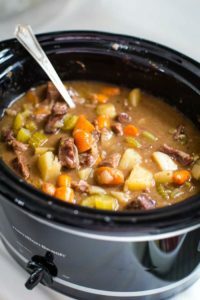 Spray your crockpot with cooking spray. (You will thank me later.) Layer half of the hashbrowns on the bottom. Top with half of the sausage, half of the cheese and half of the onions. Repeat the layer. In a mixing bowl, beat the eggs, milk, salt and pepper together. Pour over the entire crockpot mixture. Cook on low for 8 hours or high for 3 to 4 hours or until the eggs are fully set. Serve and enjoy! 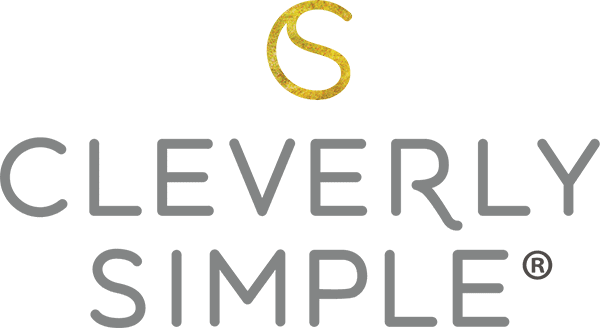 And the best part – freeze the leftovers in tortillas! 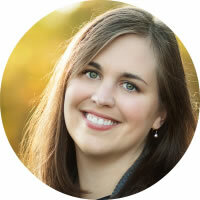 I love a double duty recipe! 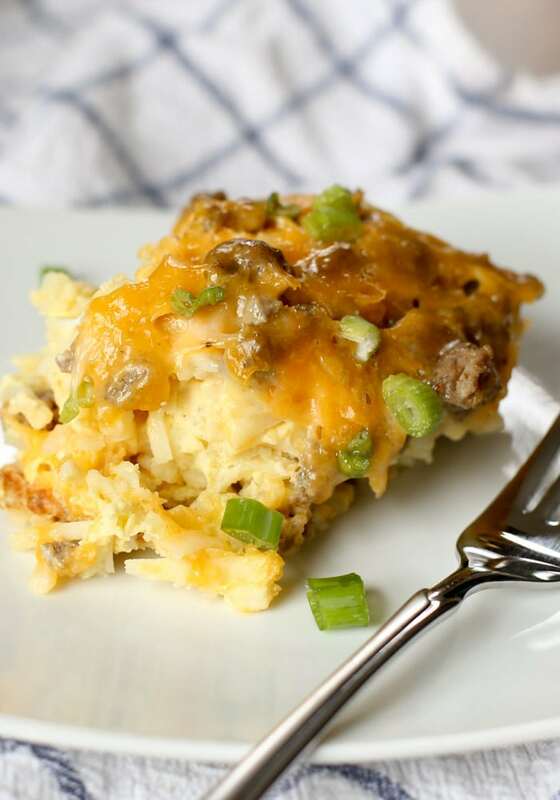 Make ahead crockpot breakfast casserole with sausage and hashbrowns. 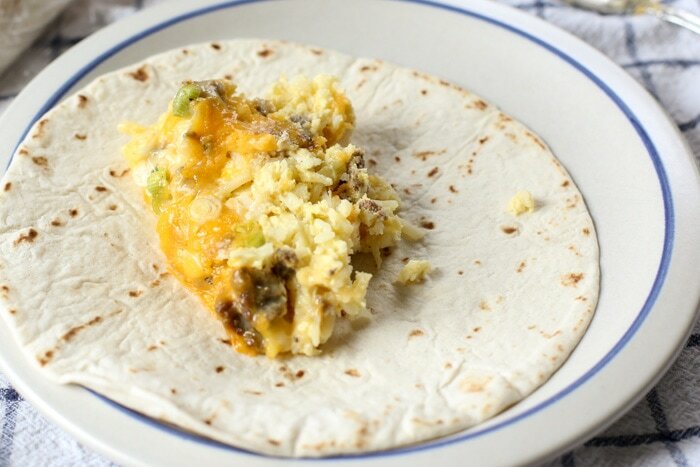 Use leftovers to create breakfast burritos to put in the freezer and enjoy on busy mornings! Cook the sausage and drain. 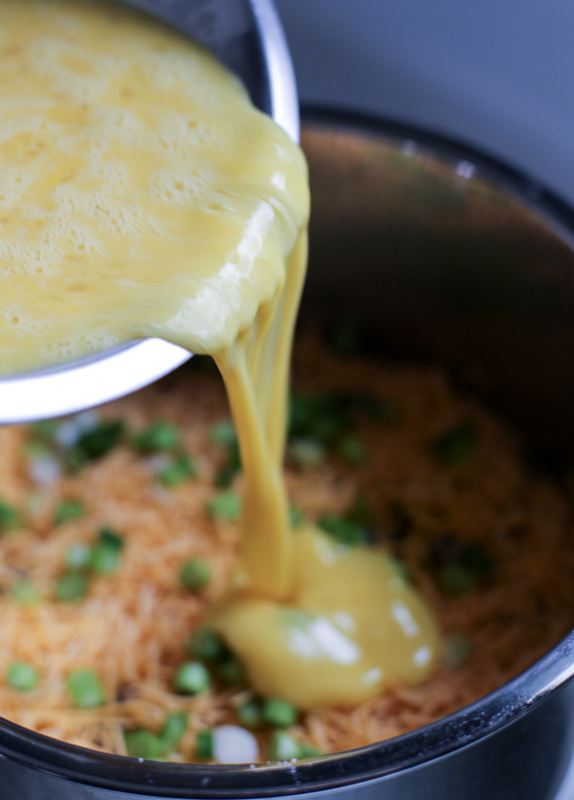 Spray the crockpot with cooking spray. Layer half of the hashbrowns on the bottom. Top with half the sausage, cheese and onions. Mix the eggs, milk, salt and pepper. Pour over entire casserole mixture. Cook on low for 8 hours or high for 3 – 4 hours. You’ll know it’s fully cooked when the eggs are set. Use the leftovers for breakfast burritos. Love the idea of using this for breakfast burritos! Just wondering, how did you reheat them after you froze them? I wrap each frozen burrito in a paper towel and heat them for about 90 seconds in the microwave. 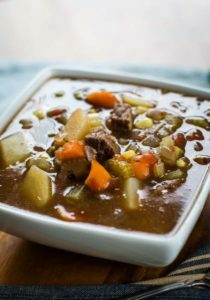 The timing does depend on the strength of your microwave and how big you make your burritos are, so you may have to adjust the timing to what works best for you. Very good. My family loved it. Next time I think I’ll add a can of Rotel that’s been drained. Hi !! This sounds delish just wondering. 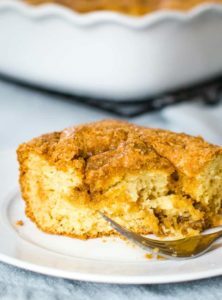 Can u bake this in the oven instead of in the crockpot and if so what degree and how long ? ?